This was one of those dinners that returned crazy levels of enjoyment for the level of effort it took to make. 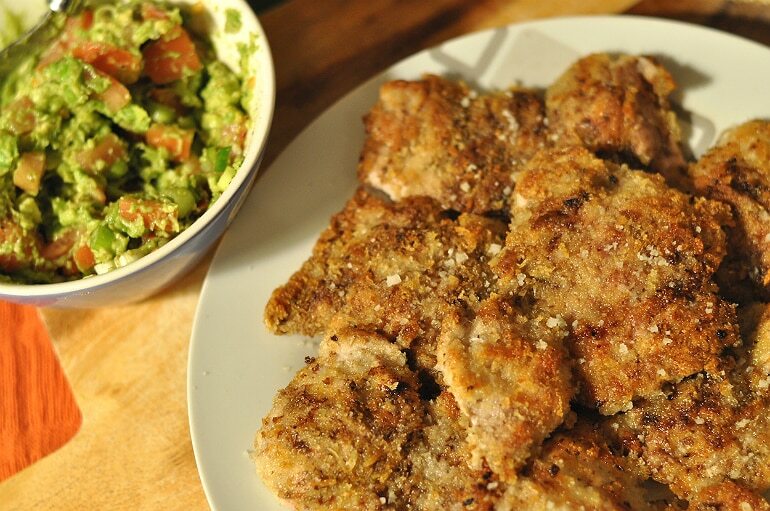 So really, it’s a spectacular quick meal for a lazy evening! 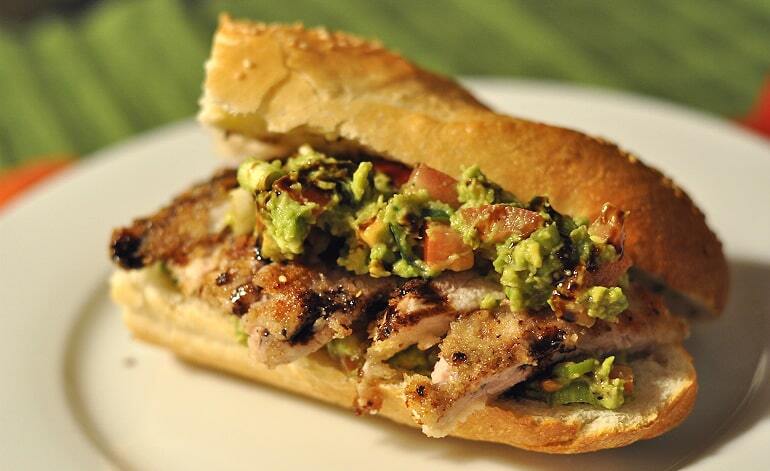 Crispy pieces of chicken teamed with cold and creamy guacamole… it’s a dreamy sandwich combo for sure. Put your chicken thighs between two sheets of greaseproof paper and bash them with a rolling pin until flattened. Now sprinkle the breadcrumbs and seasoning onto the sheet and give them another bash until they’re nicely coated. 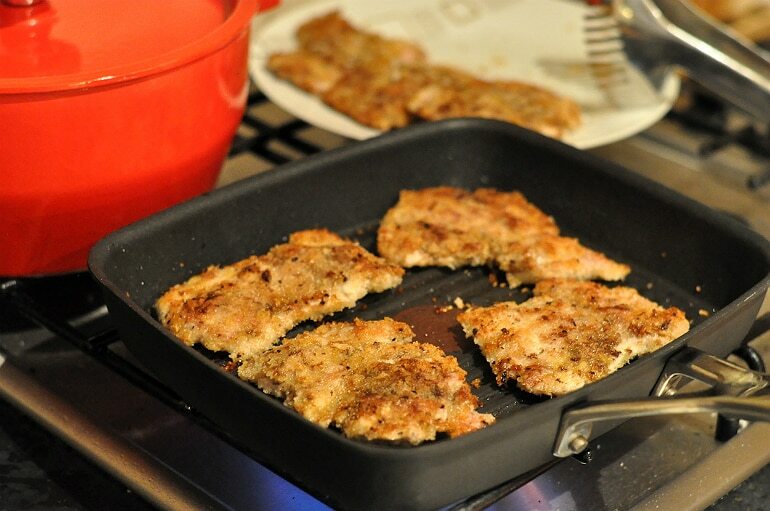 Griddle or pan fry them until cooked and set aside. 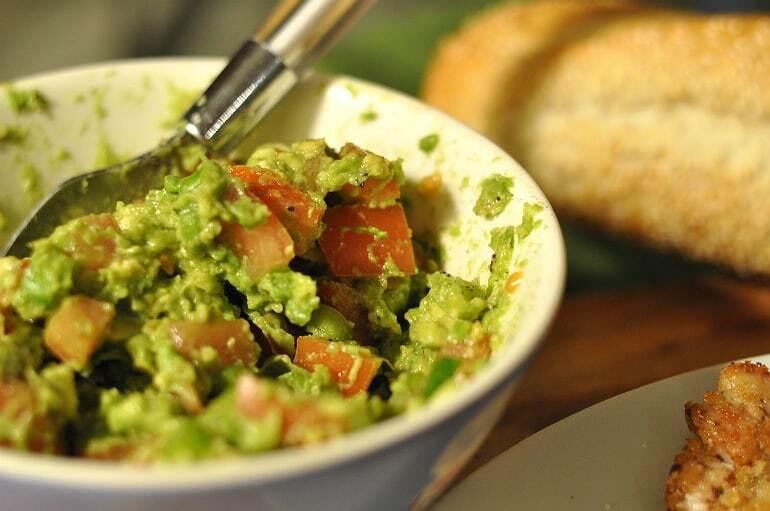 To make your guac, de-seed your tomatoes (nobody likes watery guacamole) and dice them finely. Slice your spring onion nice and thin too. The avocados? Keep them chunky: the texture works great in this sandwich. Mix it all up together. Ingredients: assemble! Make sure you slather your baguette in some lovely salted butter and finish the whole thing off with a drizzle of tangy balsamic. Oooh! Tangy, crispy, creamy deliciousness!